The word ''Poetry '' comes from the Greek word ''Poetica'' which is derived from the verb ''poiein'' that means, ''to make''. Hence, ‘poetry’ is something that is ‘made’, ‘constructed’ and ‘artificial’. The poem is made from words and the ways in which a poem is made are called ‘poetic devices’. Valery’s quote given above implies that prose, and discursive prose in particular, is largely about conveying message or information and hence is ‘goal directed’. It has to reach from the point A to B or D. It is ‘linear’ in direction. Poetry is not about giving information or conveying some message. It is not ‘goal’ directed like prose. It does not have a fixed location to reach. It may start from the point C and go E and come back to A, non-linearly like a dancer. The use of language which have‘ twists’ and ‘turns’ are called ‘ tropes’ or ‘figures of speech’. Let us discuss what is poetry ‘made of’ and how it ‘dances’. A poem is made up of a story. Though ‘narrative’ or a story is considered very different formally from poetry, poetry usually contains both fiction (imaginary worlds) and narrative (story and plot) and finding out the story the poem tells is important for understanding of the poem. Very often the speaker is one of the characters in the story which a poem tells. The speaker of the lines of the poem is commonly mistaken for the poet as the real person. In fact, the speaker in the poem can very often be a ‘mask’, a fictional character, or a voice. 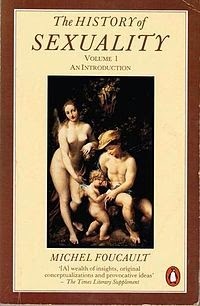 Hence it is a very good idea of not using, ‘the poet says.. .’ approach while discussing poetry or literature. In the Wordsworth poem, the story is about a lover who believes he was ‘asleep’ when he thought his beloved was not mortal and hence ‘earthly’, but wakes up to find her dead and one with nature. The story of this spiritual awakening and the shock and the grief of this awakening is crucial for comprehension of the poem. Prose is divided into paragraphs, a poem is divided into stanzas. The poem just mentioned is divided into two stanzas. Most of traditional poetry is written in ‘metre’ and ‘rhymes’. ‘Fears’, ‘Years’, ‘Sees’ and ‘Trees’ are called ‘rhymes’. The arrangement of rhymes is called the rhyme scheme.In this poem it is ‘abab cdcd’ , where ‘a’ indicates the first rhyme, ‘b’ indicates the second rhyme and so on. The lines of the poem is ‘made of’ roughly fixed number of syllables or the part of a word that is spoken distinctly. The line ‘A-slum- ber-did my-spi- rit-seal’ has eight syllables out of which four are ‘stressed’ or pronunced with emphasis: ‘slum’, ‘did’, ‘spi’, and ‘seal’ which are arranged alternatively. Rest of them are ‘unstressed’. A more or less fixed pattern of stressed and unstressed syllables is called ‘metre’. Here the lines are divided into four or five units of two syllables. These units are called ‘ feet’.The main foot here is ‘ unstressed- stressed’ foot or ‘Iambic’. The use of rhyme and meter is often used to create music and the mood of the poem. It is a convention and a device that poets often use. The study of poetic meters is called ‘prosody’. The use of rhyme and meter is one of many ways by which the language of poetry differs from the language of prose. The poem is an ‘elegy’ or a literary form that conventionally mourns or laments the death of someone close to the speaker. There are many sub-forms or sub-genres of poetry like the epic, the sonnet, the ballad, the dramatic monologue and so on. The ways in which poetry ‘dances’ or the ways in which the language of poetry differs from ordinary language involve complex and extensive use of figurative language or figures of speech. A figure of speech is a rhetorical device that achieves a special effect by using words in distinctive ways. Lets look at only some important figures of speech. 1. Alliteration. In the first line of the poem, the sound ‘ s’ ( slumber, spirit, seal) is repeated and this repetition of a consonant sound is a figure of speech called ‘ alliteration’ . ‘ R’ sound in the line ‘Roll'd round in earth's diurnal course’ another example of alliteration. 2. Metaphor and Simile. The comparison between two different contexts and things without the use of comparing words like ‘like’ or ‘as’ is called ‘metaphor’. The comparison which uses these words is called ‘simile’. In the first line, there is a comparison between the speaker’s ignorance of his beloved’s mortal nature and ‘ sleep’ or ‘slumber’ which ‘sealed’ the speaker’s ‘spirit’. ‘The touch of earthly years’ is another metaphor in the poem. ‘Simile’ on the other hand, compares two different thing using the comparing words like ‘ as’ or ‘like’. Compare and contrast the impact of ‘ he was a lion in the batlefield’ with ‘ he was like a lion in the battlefield.’ Personification is a common kind of metaphor where the inanimate things or abstract ideas are treated as if they are animate or as if they are human. 3. Image and Imagery. An image is a verbal representation of a sensory experience or of an object that can be known by one or more of the senses like sight, smell, touch and tastes. Imagery is vivid descriptive language that appeals to one or more of the senses. The description of the speaker’s dead beloved as being ,’ “Roll'd round in earth's diurnal course With rocks, and stones, and trees” is an example of imagery. The visual picture in our mind of earth revolving around the sun, and consequently the body and soul of the speaker’s beloved revolving along with rocks, stones and trees suggests her as becoming one with Nature after her death. 4. Irony. The speaker’s description of his beloved as having ‘no motion or force’ and she is ‘revolving with the earth around the sun’ actually implies she is dead and the speaker cannot be one with her . This is also because the speaker, unlike his beloved, was always alienated from nature. This mismatch between what is said and what is meant is an example of irony. The speaker’s opinion that it was because of ‘the slumber’ which ‘sealed’ his spirit that he felt that his beloved was ‘ untouched’ by earthly things like mortality is ironic, because it is not really the slumber but his desire that his beloved should not be touched by death as he loves her deeply, that has made him blind to the fact. 5. Symbol. A symbol is an image which suggests or represents something other than itself. In poetry, a symbol represents both what it is, and additionally, a concept or an idea. The symbol of a white dove suggests "peace" and a cow in Indian culture symbolizes maternity, fertility, auspiciousness and divinity. ‘Slumber’, for instance, stands for the lack of knowing on the part of the speaker. Now let’s look at another poem. The experience of reading and relishing poetry transforms the reader into something almost nonhuman like the dog into which the speaker is transformed by the end of the poem. The irony of the poem emerges when the speaker says, ‘ I am a new man’ when actually he on his knees, licking the librarian’s knees, snarls and barks at the librarian. The contrast between the human being and the dog is symbolic one. Contrary to the humanist belief about literature as humanizing, the poet seems to indicate that its sorcerous power turns humans being into primitive non-human being. This ‘anti or non-humanist’ perception of art is characteristic of the postmodern literature. Though there is no one fixed way of reading poetry, here are some tips for analysis , comprehension and appreciation of poetry. The best way to do it is by asking questions as we go along reading the poem. Better we get at asking questions about the poem, the better we get at reading , analyzing and enjoying poetry. The skills of asking questions to poetry come with a lot of practice and interest. Keep jotting down the questions and thoughts that come to your mind as you go along. 1) Why is this title given to the poem? The Title of the poem often indicates the theme or the subject of the poem, e. g. ‘Eating Poetry’. Often the first line of the poem is the title as in ‘A Slumber did my Spirit Seal’. Very often titles are meant to arouse our curiosity rather than lead to the theme or the subject of the poem. 2) Try to guess ‘the character’ of the speaker by reading for information about him or her. The speaker in the first poem is the lover who has lost his beloved and the speaker in the second poem is the reader who relishes poetry. 3) Read the poem carefully to find out the ‘story’ or ‘the plot’ of the poem by trying to guess ‘what happens’ to the speaker or some other characters. 4) Ask yourself ‘what’ the speaker is saying and ‘how’ is he or she saying it.The speaker in the first poem is awakened by the grief due to the death of his beloved. The characters of both the speaker and his beloved are transformed. The lover realizes the mortality of his beloved and the beloved is transformed from a living human being into a spirit that is one with nature after death. The speaker in the second poem is transformed into a dog to the librarian’s horror. 5) Ask yourself questions: is it divided into stanzas? Does it have rhymes ? If so what is its rhyme scheme? Does the poem have a fixed metrical patterning ? The first poem is written in iambic meter and has a fixed rhyme scheme. The second poem is written in ‘free verse’ and has no fixed metrical patterns. 6) Ask yourself what is the ‘mood’ of the poem. The mood of the first poem is sad, serene and philosophical. The mood of the second poem is absurd, comical, dark and even sinister. Usually the poems use words for creating emotional impact instead of communicating any information or message. Ask yourself how effective the poet has been in creating this impact upon you. 7) How does the poet use the figures of speech and other devices in the poem? Look at the images, metaphors and symbols in the poem. How well does the poet use ‘irony’. Much of the impact of the poem on the reader depends on the freshness and preciseness of the images, metaphors and symbols. Ask yourself if the poet’s use of the figurative language is effective and interesting. 8) Very often tracing the abstract nouns can lead the reader to the theme or the subject of poetry. The use of abstract nouns like ‘spirit’, ‘earthly’ or ‘force’ in the Wordsworth poem and the abstract nouns like ‘ happiness’ , ‘ poetry’ and ‘ new man’ in the Strand poem indicate the theme of the poem. Consider the fact that both the poets use these words ironically, though in a different way. The Problem of Defining Deconstruction. Jacques Derrida (1930-2004) whose name is associated with the term ‘deconstruction’ is one of the most renowned and prolific philosophers of the twentieth century. 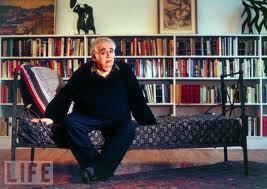 His writings are characteristically postmodern in the sense they seek to go beyond modernity. Derrida has written prolifically on various themes like translation, ethics, aesthetics, responsibility, death and mourning, politics of friendship, cosmopolitanism, Marxism, globalization, technology and terrorism. 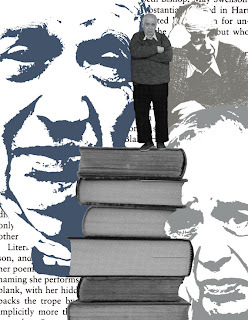 His dense and complex writings have had an enormous influence in psychology, literary theory, cultural studies, linguistics, feminism, sociology and anthropology. Though the term has become very popular in literary criticism and theory, its precise meaning is extremely problematic. In fact, Derrida himself in the famous "Letter to a Japanese Friend" (1983) pointed out that the term was a product of his wish,” to translate and adapt to my own ends the Heidggerian word Destruktion or Abbau. 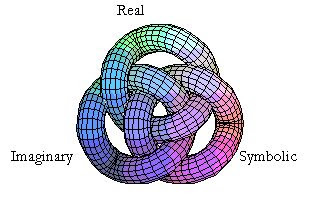 Each signified in this context an operation bearing on the structure or traditional architecture of the fundamental concepts of ontology or of Western metaphysics”. This operation on the traditional structures of western thought was not a negative one connoting destruction but, “rather than destroying, it was also necessary to understand how an "ensemble" was constituted and to reconstruct it to this end.” Derrida also reminds his Japanese friend that deconstruction is “neither an analysis nor a critique” and is not, “a method and cannot be transformed into one.” For Derrida, deconstruction is not something that you do, rather “Deconstruction takes place, it is an event that does not await the deliberation, consciousness, or organization of a subject, or even of modernity. It deconstructs itself.” J. Hillis Miller in “Stevens' Rock and Criticism as Cure" (1976) notes, "Deconstruction is not a dismantling of the structure of a text, but a demonstration that it has already dismantled itself. Its apparently solid ground is no rock but thin air." This leads Derrida to question,” Can deconstruction become a methodology for reading and for interpretation? Can it thus be allowed to be reappropriated and domesticated by academic institutions?” In spite of Derrida’s disclaimers and caveats, there have been innumerable attempts to explain, simplify, define or ‘package’ deconstruction for the academic malls, a tendency that Derrida protested and criticized throughout his life. 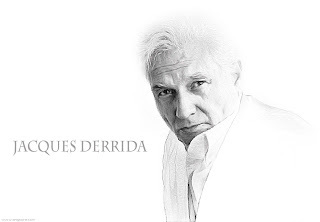 The present article does not try to simplify or package Derrida’s philosophy, but offers some starting points into more serious and rigorous examination of his works. One of the essential places to start while approaching Derrida’s texts is in the works of very controversial and yet one of the most influential German philosophers Martin Heidegger (1889–1976). In Being and Time, Heidegger argued that the western thought has neglected or repressed the question of Being of beings (or entities) by failing to make the ontological difference between ‘ beings’ and Being. The metaphysical tradition of the western thought has always been concerned about ‘beings as beings’ (i.e. treating entities as entities, rather than their mode of existence) which has resulted in a deep crisis in the western civilization. Heidegger demands the destruction (Destruktion) of the Western philosophical tradition, which is not its destruction but total transformation. In his later works, Heidegger talks about the importance of the question of language in philosophy and points out that it is ‘language that speaks, not Man’ and that language is ‘the house of Being’. Heidegger’s own language is extremely dense and often very strange as if Heidegger is not just offering a critique of the language of western philosophy but reinventing it. Derrida continues – and critiques- the Heideggerian themes of radical rethinking of the very foundations of western thought by dismantling the metaphysical tradition and raising the key question of language and reinvention of the language of western philosophy. While Heidegger argued that the neglect and repression of the question of Being of beings is a blind spot of the entire western thinking and dwelling in this question one can deconstruct the entire western tradition of philosophy, Derrida in the first book Of Grammatology (1968) argues that neglect and the repression of the question of writing in its conception of language as speech is another such blind-spot in the western thought and the rigorous pursuit of this question can similarly ‘deconstruct’ the tradition of western thinking. Another important place to approach Derrida’s works is Ferdinand de Saussure’s (1857-1913) Course in General Linguistics. Saussure made an influential distinction between the signifier (the sound image of a word) and signified ( or the concept or meaning) and that the relationship between them is arbitrary, that is, there is no inner relationship, say between the word ‘ sister’ and the person it signifies. The relation between the signifier and the signified is merely conventional and that convention can be considered as a ‘code’, which combines the signifier and the signified to make, the linguistic sign. It also implies that the signifier does not naturally lead to the entities in the world beyond the linguistic system but stays within it by pointing to other signifier. Derrida notes that the signifier does lead to some universal and stable entity or fixed and universal meaning (transcendental signified) but only to another signifier- just as what we consider as what we consider as ‘meaning’ in the dictionary are actually other words which have meanings of their own. As Derrida demonstrates the arbitrariness of the sign results in indefinite ‘deferral’ or postponement or the delay of reaching this ‘ultimate and absolute’ meaning beyond language. It is in this context one has to see his famous statements which appears in an essay on Rousseau in his book Of Grammatology (1967) that "there is nothing outside the text" (il n'y a pas de hors-texte). Another important point that Saussure makes is that ‘in language there are only differences without positive terms”, that is, we can recognize and understand one linguistic item – say the phoneme ‘p- only by contrasting it with everything that is ‘not-p’. Saussure goes on to say, “The entire mechanism of language, with which we shall be concerned later, is based on oppositions of this kind (e.g. between the word ‘father’ and ‘mother’) and on the phonic and conceptual differences that they imply.” Derrida shows that the same applies to the language of philosophy and the entire mechanism of this language is based on binary oppositions like ‘light’ vs. ‘dark’, ‘ male’ vs. ‘female’, ‘good’ vs. ‘bad’, ‘speech’ vs. ‘writing’ ,‘nature’ vs. culture’ and so on. However, Derrida points out that these oppositions are not equal but hierarchic where the second term is considered either derivative or inferior to the first, the privileged one. What allows this inequality and hierarchy, according to Derrida is the tendency in the western thought to privilege ‘presence’ over ‘absence’, which Heidegger had termed as ‘metaphysics of presence’. 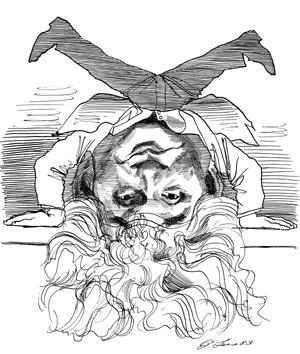 Derrida combines two characteristics of the language mentioned above: the arbitrariness or the tendency to defer the ultimate and final meaning, and the systemic differentiality of language and coins a new term ‘différance’ – the tendency or the force of language to defer and differ that is intrinsic to language. The new term is a pun, and is possible in French as the word différer can mean either to differ or to defer, depending on context. In his rigorous readings of classical western philosophical texts, Derrida overturns the binaries like ‘ nature’ and ‘ culture’ or ‘ speech’ and ‘writing’ to show that the whole idea that the first term is basic or central and the second term is derived or marginal -is actually illusionary and ‘metaphysical’. He demonstrates how the second term can also be considered ‘basic’ and ‘central’ to a philosophical system, and the philosophical text can be read to mean exactly the opposite of what it starts out to state. This results in ‘undecidability’ or ‘aporia’ regarding which reading or interpretation is the ‘true’ or ‘right’ one. He does this to demonstrate that any act of communication or significance is a function ‘differance’ rather than some stable entity outside of language. The tendency in the western philosophy to repress or neglect writing- or as Derrida calls it ‘phonocentricism’ is a manifestation of ‘logocentricism’ of the western metaphysics- the tendency to privilege presence over absence, which is undone due to the force of ‘difference’ within the mechanism of language. Interestingly, what differentiates ‘différance’ and ‘difference’ is inaudible, and this means that distinguishing between them actually requires that they be written. Derrida’s assertion that ‘deconstruction’ is not something that you do, but something which ‘happens’ to texts implies that it is the force of ‘differance’ which is the part of the system of thought that brings about the production and signification of binaries and their subversion and the resultant aporia, rather than a person, school or a historical period causing it. In his famous essay, ‘Structure, Sign and Play in the Discourses in Human Sciences’ which was read at the John Hopkins International Colloquium on “The Language of Criticism and the Sciences of Man” in October 1966, Derrida demonstrates how structuralism as represented by the anthropologist Claude Levi-Strauss which sets out as a criticism or rejection of science and metaphysics can be read as embodying precisely those aspects of science and metaphysics which it seeks to challenge. The essay concludes by saying, “There are thus two interpretations of interpretation, of structure, of sign, of free play. The one seeks to decipher, dreams of deciphering, a truth or an origin which is free from free play and from the order of the sign, and lives like an exile the necessity of interpretation. The other, which is no longer turned toward the origin, affirms free play and tries to pass beyond man and humanism.” Thus, we have two diametrically opposite interpretations of structuralism, and we are unable to decide which the ‘right’ one is. This ‘aporia’ between two interpretations is due to the force of ‘difference’ intrinsic to the structure of language. The force of ‘differance’ makes language characteristically ‘centrifugal’, that is moving away from the center by ‘scattering’ of the philosophical system or by its ‘dissemination’ into multiple and conflicting interpretations. Characteristically, Derrida in this essay notes that ‘language bears within itself, the necessity of its own critique’. The essay is considered as inauguration of ‘poststructuralism’ (going beyond structuralism) as a theoretical movement. Though Derrida wrote occasionally on literature, his primary focus was on the classical texts of Western philosophical tradition starting from Plato onwards. Most of his important statements on literature are collected in the book Acts of Literature. However, ‘deconstruction’ became popular in literary criticism largely due to the literary theorists and scholars associated with the Yale School like Paul de Man, Geoffrey Hartman, J. Hillis Miller, and Harold Bloom ( For my entry on Harold Bloom click here) . 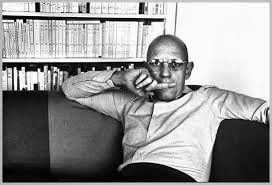 One of the most important practitioners Paul de Man (1919–83) in ‘The Resistance to Theory’ ( For my entry on ' Resistance to Theory' click here) says that the rhetorical and figurative dimension of language makes it an unreliable medium for communication of truths. Literary language being predominantly rhetorical and figurative, to take for granted that literature is a reliable source of information about anything but itself would be a great mistake. 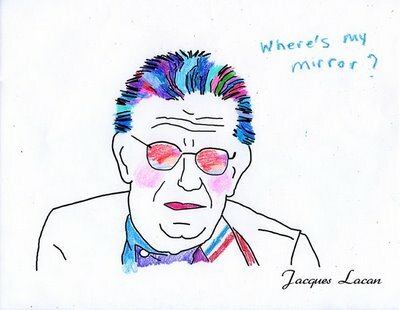 This gives rise to a particular crisis in literary studies because "literariness" is no longer seen as an aesthetic quality nor is it seen as a mimetic mode. As we consider language as an intuitive and transparent medium, as opposed to the material and conventional medium that it is, aesthetic effect, according to de Man, takes place because we tend to mistake the materiality of the signifier with the materiality of the signified. Mimesis, like aesthetic quality, is also an effect of the rhetorical and figurative aspects of language. The assumption of ideological and historical contexts or backgrounds to literary texts becomes problematic if language is no longer seen as a transparent and intuitive guide from the textual material to the historical situation. Consequently, the theorists who uphold an aesthetic approach to literary studies and those who uphold an historical approach both find deconstructive approach inconvenient and challenging. 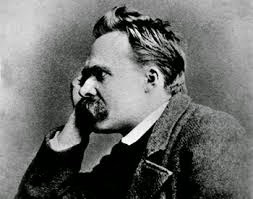 De Man practiced his own variety of deconstruction in his philosophically oriented literary criticism of Romanticism, especially the writings of William Wordsworth, John Keats, Jean-Jacques Rousseau, Friedrich Nietzsche, Immanuel Kant, G.W.F. Hegel, William Butler Yeats, Friedrich Holderlin and Rainer Maria Rilke. In Blindness and Insight, de Man sought to deconstruct the privileging of symbol over allegory and metaphor over metonymy in Romantic thought. In Romantic philosophy, metaphor implied self-identity and wholeness, decomposition of self-identity implied inability of overcoming the dualism between subject and object, which Romantic metaphor sought to transcend. To compensate for this inability, de Man argued that the Romanticism constantly relies on allegory to attain the wholeness established by the totality of the symbol. As against the Yale School’s obsession with figurative language and the close reading of the texts, many New Historicist, Cultural Materialists, feminists, and postcolonial theorists have used deconstruction as a political weapon to expose the political, historical and the ideological biases built into the text. While feminists and gender theorists find deconstruction useful in subverting the gender binaries in literary texts, the postcolonial theorists find it a powerful tool to undermine and explode the colonizer’s master narratives from within. Cultural materialists have found Derrida’s emphasis on the materiality of language and its social and institutional context very useful to critique the idealistic modes of reading literature. New Historicists like Louis Montrose have used Derrida to formulate a new way of reading relationship between literature and history by focusing on ‘reciprocal concern about historicity of texts and textuality of history’. Thus, deconstruction remains one of the most influential theories in literary studies till today. Though the term’ deconstruction’ has become very popular in literary criticism and theory, its precise meaning is extremely problematic. It has had an enormous influence in psychology, literary theory, cultural studies, linguistics, feminism, sociology and anthropology. It has influenced a wide range of theoretical approaches to literary studies like feminism and gender studies, cultural materialism, new historicism, postcolonial studies, Marxism, psychoanalysis and so on. It involves the close reading of texts in order to demonstrate that any given text has irreconcilably contradictory meanings, rather than being a unified, logical whole. Though it is often misunderstood as negative activity of destruction, it is in many ways continuation of Heideggerian project of dismantling and transforming the entire tradition and architecture of western thought by building upon the insights from contemporary linguistics regarding the mechanism of language and meaning production. Lawlor, Leonard, "Jacques Derrida", The Stanford Encyclopedia of Philosophy (Fall 2011 Edition), Edward N. Zalta (ed. ), URL = . Wheeler, Michael, "Martin Heidegger", The Stanford Encyclopedia of Philosophy (Winter 2011 Edition), Edward N. Zalta (ed. ), URL = . 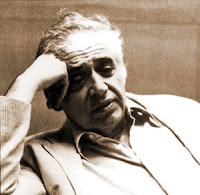 In an age which treats literature as a pretext for studying other things like ideology, culture and society, Harold Bloom (b.1930), one of the most ‘original’ and fascinating literary theorists of the later half of the twentieth century, provocatively places literature at the centre of his theorizing. In many ways he reminds us of Northrop Frye’s dictum that literature alone is the primary context for literature. However, unlike Frye or Eliot, Bloom often collapses, in Wildean manner, the distinction between ‘critical writing’ and ‘creative writing’. Bloom revives the Eliotian theme of the relationship between ‘tradition’ and ‘individual talent’ in a dramatic manner, this time, using Nietzsche, Freud, Vico, Emerson and Oscar Wilde. He aims to ‘de-idealize’ this relationship on the one hand ( “more than ever, contemporary poets insist that they are telling the truth in their work, and more than ever they tell continuous lies, particularly about their relations to one another, and most consistently about their relations to their precursors” )and propose an approach to practical criticism on the other. 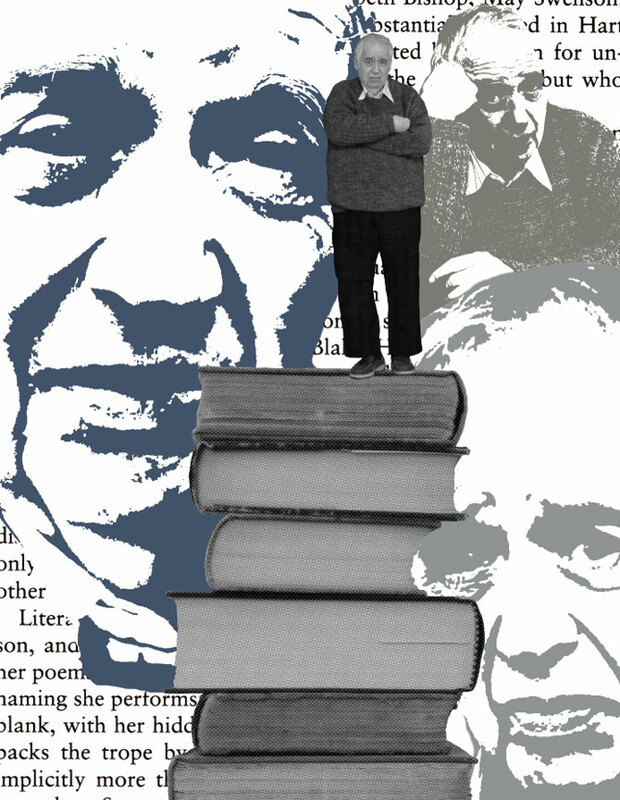 In Bloom’s theory, tradition is not a benign and empowering presence but something of a threat and a challenge to new writers in the west. For Bloom, one of the functions of criticism is to make a good poet’s work even more difficult for him to perform…… as all that a critic, as a critic, can give poets is the deadly encouragement that never ceases to remind them of how heavy their inheritance is.” A exceptionally prolific writer, some of his most significant books are The Anxiety of Influence (1973), A Map of Misreading (1976), Kabbalah and Criticism (1975), The Western Canon: The Books and Schools of the Ages (1994), How to Read and Why (2001), How to Read Poetry (2005) and more recently The Anatomy of Influence: Literature as a Way of Life (2011). What makes this rivalry very bitter is the fact that the new poet (‘ephebe’) starts writing poetry by reading his favorite poets only to discover that his poetry is not really his own original work but only a ‘response’ to the works of earlier masters. Thus he suffers from the ‘anxiety of influence’. His love for poetry of the masters which ‘inspired’ him to write in the first place becomes an obstruction in achieving his own place in the canon. The new writer suffers from the ‘burden of belatedness’. His love turns into hatred. The struggle (‘agon’) of the ‘ephebe’, and the precursor poet according to Bloom, is analogous to the Freudian notion of oedipal conflict. “Initial love for the precursors’ poetry is transformed rapidly enough into revisionary strife, without which individuation is not possible”, Bloom notes. The birth of the poet-in-the-poet or the process by which a poet is reborn as a poet is what Bloom terms as ‘poetic incarnation’. The poetic incarnation, in Bloom’s view, results from poetic influence. Bloom sees influence as ‘the giving that famishes the taker’. This influence is ‘catastrophic’ and dualistic as it starts out as love and ends up as conflict. Bloom note that this influence has almost nothing to do with verbal resemblance between two poets or even stylistic resemblance. In strong poets, it works in the depths, “as all love antithetically works”. In ‘Poetic Origins and Final Phases’, Bloom allegorically and metaphorically notes that the poets are born by the side of ocean- the ocean of already written poems which is the feast that ‘famishes the taker’. Then, they move onwards to ‘the land by a drying up of the oceanic sense’. True poets are born because of ‘desiccation combined with unusually strong oceanic sense’ and poetry like sexual love, is regressive – a drive back to ocean. In contrast to the mass of smaller and weaker poets, the strong poet has in his first voice, ‘what is most central in the precursors’ voices. Bloom notes that towards the end of their careers as poets, the strongest poets become obsessed with origins and return to the origins in the end. To make his point, Bloom analyzes the tropes of ocean and desiccation in the strong poets like Shelley, Wordsworth, Swinburne, Beddoes, Auden, Hardy and Wallace Stevens and demonstrates how older Hardy and Stevens returned to Shelleyian vision, their ‘poetic origin’ towards the end of their lives, and hence are the strongest English poets of the twentieth century.